Home > StarKist Tuna is Giving Away Tuna or Cash: Here’s How to get Yours! StarKist Tuna is Giving Away Tuna or Cash: Here’s How to get Yours! If you are anything like us, then the possibility of getting free money or food is always of great interest. That’s why the recent decision by StarKist to settle a class action lawsuit is something that caused us to stand up and take notice. The lawsuit, filed more than two years ago in Oakland, CA federal court, charged that StarKist knowingly and illegally under-filled 5 ounce cans of its popular chunk light tuna and solid white albacore tuna varieties. Federal law required these cans to be filled between 2.84 and 3.23 ounces depending on the variety. Millions of cans were suspected of being below this minimal standard. 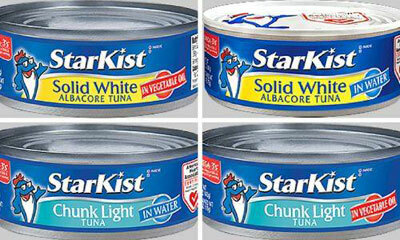 The four types of StarKist tuna products covered in the settlement include the following: Chunk Light Tuna in Water, Chunk Light Tuna in Oil, Solid White in Water and Solid White in Oil Tuna. 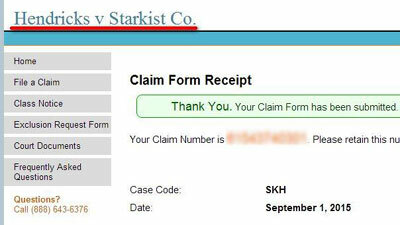 To avoid further litigation, StarKist has decided to settle the claims (all without any admission of fault on their part) by providing one of two options to consumers: receive a one-time $25 check or, if you agree to spend it solely on tuna, receive $50 in StarKist tuna vouchers. Full details on the lawsuit, the settlement, and how to claim your reward can be found on the website TunaLawsuit.com. Most qualified consumers will receive notice of the lawsuit by mail at which point they will be assigned a claim number and can file their claim directly on the website. However, the settlement also allows ANYONE to visit the site and submit their own claim as long as they certify, under penalty of perjury, that they did purchase one of the four covered StarKist products during the period between February 19, 2009 and October 31, 2014. The process for submitting a claim is very painless and we managed to submit our claim for $50 in free tuna by filling out a form that took us all of 60 seconds. If you like the prospect of free tuna or want to sign-up for the $25 cash voucher head over to the site now. The deadline for consideration is November 20, 2015. Finally, where there is a lawsuit settlement, there is also a law firm of record. The above settlement was negotiated by NY-based firm Bursor & Fisher. Total amount they will pocket from this lawsuit? About $4 million. Something tells us they will forgo the tuna vouchers and take it in cash. What do you think above the above? Do you qualify as a member of the settlement class? And if you do, are you going to take the $25 in cash or the $50 in tuna? Let us know in the comments below.